By now I bet you've heard about eyelash services that can enhance & simplify your beauty routine, and who doesn't want that, right? What you may not know is that there are a few different options for you to choose from when it comes to lengthening, curling, and making them appear fuller. In this post I'll break down each lash service that we offer at Artistry to make your job a whole lot easier, so that way you know what to expect before you even step into our doors and on to one of our comfy lash beds. Let's start with the service that's had the most buzz about it in the beauty industry lately, Eyelash Extensions. As you can probably guess by the name, these are false lashes that are applied to the lash line to extend your natural lashes. They are individual lashes, which allows the technician flexibility & control of how they place the lashes which gives a very customizable result. In your consultation before the service begins they will ask you a few questions to determine what results you're looking for. 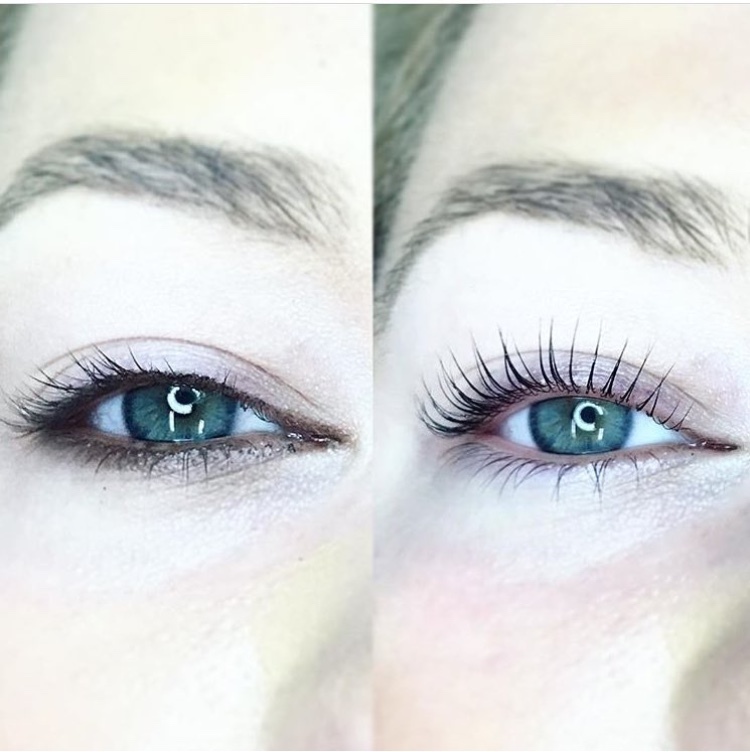 If this is your first time getting the service done, or you are unsure what you would like -don't panic!- the lash artist can show you pictures and recommend what they feel would suit you best. The results are instantanious, you will have a shape, depth & fullness to your lashes. While you can wear mascara if you want to it may effect how long they last you, and most people find they don't feel like they need it once they see their results of the first appointment. timing | We book an 1.5-2 hours for a full set of lashes to ensure plenty of time, & approximately 1 hour for fill appointments. setting | On the 2nd floor of Artistry salon we have 2 private lash rooms both stocked with a lush massage bed to make the process comfy & relaxing. Next up we'll talk about another popular eyelash service, which is actually two services that often go hand in hand, a Lash Lift + Tint. First let's clarify which service does what. Our lash lifting service uses one of the industries leading products made by Elleebana to essentially curl your own natural lashes. Much like using an eyelash curler, this service makes your lashes more pronounced by curling them up and out from your lashes' roots. The results are noticeable and natural at the same time. Your eyes appear more open & "awake" even without wearing mascara. You can apply mascara on top if you wish, however this is where our next service may come in handy in saving you another step in your daily routine, a lash tint. Lash tinting is like the icing on the cake, it helps to make your natural lashes that are now curled to perky perfection stand out root to tips. By darkening the lashes it helps to give you even color throughout the lash itself. We often recommend the two services together to give you a great low maintenance option that enhances your own natural lashes both in shape & color. setting | as with our extensions, we also use our 2 private lash rooms located in the upstairs of Artistry, both stocked with a lush massage bed to make the process comfy & relaxing. maintenance | the lash lift will last you between 6-8 weeks, and will gradually fade away with your natural lash shedding cycle, which is what makes this service low maintenance, you can choose to make your appointment just before it begins to fade, or any time after that. The lash tint will last approximately 4 weeks, and we recommend booking every 4-6 weeks for those who like to maintain the look of a fresh lift + tint. And there you have it, 3 great lash services that all help save you time & energy in your beauty routine. Our team is committed to bringing you the latest in the beauty & hair industry, and now we'll be sharing our knowledge and expertise through the help of this blog to give you tips, time savers, tutorials, and trends every month! So be on the look out for the next topic, and feel free to leave a comment if you have anything you'd like to hear about or if you've tried out one of our tips!